Candy Crush is destined to be a heartbreaker. The addictive mobile app’s Europe-based maker, King Digital Entertainment, is ready to capitalize on the hype with an initial public offering in the United States. With top hit “Candy Crush Saga” generating about 80 percent of revenue, though, investor infatuation would be a dangerous game. The multi-level matching puzzle was the most downloaded game for smartphones and tablets last year, according to research firm App Annie. The hyper-popularity has pushed King’s revenue to an eye-popping $1.9 billion with profit of about $570 million. Faddish games are all the rage. Last October, an investment by Japan’s SoftBank valued Supercell at $3 billion. The Finnish firm said its top line clocked in at almost $900 million last year. On the same rough multiple of three, King would be worth nearly $6 billion, or only two-thirds as much as established videogame producer Electronic Arts. By contrast, Zynga’s experience hasn’t been so sweet. Its shares have tumbled by half since going public in 2009 after struggling to repeat the popularity of “FarmVille.” Instead, Zynga has unsuccessfully tried to buy its way to the next level, including a wasted $200 million on “Draw Something” creator OMGPOP. King at least can point to some other modest successes. “Pet Rescue Saga” was a top 10 mobile game in the UK and France. The firm also has launched two other games in the last four months. Set against such excitement, however, are considerable risks. Just 4 percent of gamers pay King for extra goodies; the rest just put the apps on their devices for free. And despite an impressive 500 million downloads of “Candy Crush,” consumers are a fickle bunch. There is no brand loyalty or barrier to entry where mobile games are concerned. There are already early signs of these problems at King. Quarterly revenue slipped 3 percent and monthly users 7 percent from the previous period. That suggests the allure of “Candy Crush” may already be waning. Developer Rovio managed to turn its “Angry Birds” smash hit into a franchise that spawned a movie. Likewise, King’s “Candy” and “Saga” patents could turn into fresh sources of revenue. To translate into any kind of success for investors, though, all the pieces will have to fall right into place. 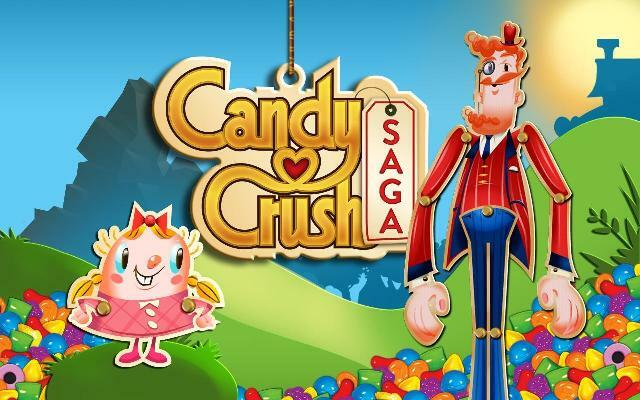 King Digital Entertainment, maker of the popular Candy Crush Saga mobile game, on Feb. 18 filed for an initial public offering on the New York Stock Exchange. London- and Stockholm-based King disclosed 2013 full-year net profit of $568 million on revenue of $1.9 billion in documents submitted to the Securities and Exchange Commission. King’s revenue has grown 29-fold since 2011. The firm said its top-selling game accounted for 78 percent of total revenue and 86 percent in its mobile segment.